Eliminating Spyware by identifying rouge Spyware on your computer and get rid of it fast. Block I.D. Theft by blocking access to your sensitive data and stop unauthorized access of your account numbers. 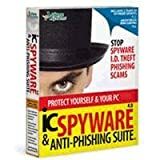 (Based on manufacturer's information) icSpyware & Anti-Phishing Suite removes Spyware, malware, keystroke recorders, screen capture apps, secret communication devices, network snoops, hidden files, malicious active X controls, web cookies, and more. Protect your identity Identity theft is a serious problem. Protecting your personal information is very important in today's world. Block access to your sensitive data and stop unauthorized transmission of your account numbers, addresses, email and chat addresses, and more. * Anonymous Surfing: Keeps your IP, or internet address, unlisted so you can surf the internet without being tracked. * Encrypted Account Database: Provides safe and secure storage of account information. * Protection Library: Learn how to detect suspicious activity and avoid becoming a victim with these easy reference guides. Customize your security You are in control of how much protection you want and when you want it. Customized settings deliver the level of protection that works best for you. Securely delete sensitive files You don't need to be a Spyware expert to enjoy the benefits of a safer computer. With one imple click, icSpyware & Anti-Phishing Suite will not just delete a file, but will obliterate it. Permanently. Block spam Free yourself from junk email once and for all. icSpyware & Anti-Phishing Suite checks every email against a network of millions of alert users to keep spam out of your inbox. Pick the level of spam protection that's best for you: You can rate each email on a scale from 1 to 100. Customize your filter strength to the level you want, from Lenient all the way up to Exclusive. Powerful and fast Comes with a full 2-year subscription of updates, continuously monitoring, updating and protecting your PC. Allume labs analyze and create hundreds of new Spyware profiles each month. Don't risk your privacy. Get peace of mind; get icSpyware & Anti-Phishing Suite and stop Spyware cold. Effortless security - Security updates plus new features are pushed to you automatically so you're always protected. Protection beyond your PC - Find and fix network issues to keep strangers and malware out. Powered by artificial intelligence and a community of 400m users worldwide, Avast Free Antivirus shields you from all types of malware, completely for free. We make no compromise when it comes to keeping you safe — our essential protection uses the same smart engine as our premium offers. With machine learning and big data, we protect you in real-time and even block threats before they harm you. And with extra features like Wi-Fi Inspector and Passwords, you can take your protection beyond your PC. Real-time protection against viruses, ransomware, Trojans, and other types of malware. We bring you updates automatically, to keep you safe from the latest threats. Smart Scan finds malware and vulnerabilities on your computer — including unsafe settings, suspicious add-ons, and out-of-date software — to help you fix them. With CyberCapture you can have suspicious files analyzed before you use them. If they’re dangerous we’ll develop a cure and send it out to the entire Avast network. Our Wi-Fi Inspector scans your network to stop strangers from exploiting it and to prevent malware from slipping in through the cracks. Our Passwords feature allows you to secure all your accounts, across all your devices, with a single master password. Killing that boss will take all the focus you can muster, so we’ll let you turn notifications off to make the most of your gaming experience. Seems like a heavy load? No need to worry. Thanks to cloud-based processing, Avast is able to protect you without slowing you down. Get it now to discover why 400 million users around the globe trust their data, devices, and dreams with our free protection. 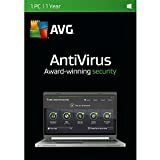 Full Antivirus and Anti Malware Protection. Full Scanning Engines (Bit defender+ Malware IDs Technology) to protect against viruses, malware, Trojans, spyware, adware, worms, bots, key loggers and much more. Protection layers: Surf Protection, File Guard, Behavior Blocker. Real Time Protection, Hourly Updates. Antivirus Tools -Backup Tools -BIOS / CMOS Tools -Browsers / File Managers -Cleaners -Device Driver Tools -Editors / Viewers -FileSystems Tools -Hard Disk Tools -MBR (Master Boot Record) Tools -Ms Dos Tools -Network Tools -Optimizers -Partition Tools -Password/Key Tools -Process Tools -Recovery Tools -Registry Tools -Remote Control Tools -Security / Encryption Tools -Startup Tools -System Information Tools -Testing Tools -Tweakers Please Note: This CD-ROM set contains Open Source software. This item is in full compliance with the GPL License agreement and we are authorized to distribute this disc and its contents. These CD can be freely installed on as many systems as you wish as long as the (GNU) General Public License is followed and agreed upon. This is not a boot limited, OEM, shareware, bootleg or trial version, No activation or CD key is required to take full advantage of this software. 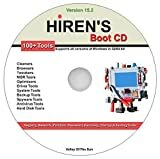 CD-ROM set does not come in a retail box as it is an Open Source software. Installation is as simple as inserting the CD in your computer. Lately Apple Mac computers have been seeing many vulnerabilities that could put your important information in the hands of hackers or leave your computer with pesky viruses. The software will keep your Mac safe and can remove hard to find viruses if you're currently struggling with one. This is a FULL VERSION CD that will ship within 1 business day after purchase. You don't need to worry about any subscription and there are NO ADs to buy a Premium edition because this is the Pro edition. Non-Stop Virus Protection for your Apple Mac computer: 360 provides comprehensive protection against phishing websites, malware and viruses. How it works: 360 can scan ALL files on your Mac for potentially harmful viruses. It can quarantine or permanently delete the files. Speed Boost: You'll also be able to clean junk files easily, in our test we freed over 50Gb of space on an iMac! You can also uninstall apps with one click. Internet Security: You can run a Web Shield in all popular browsers to protect you from dangerous sites that can hack your computer. Google Chrome, Firefox, Safari & more! PLEASE NOTE: All files on this CD are checked and virus-free. Also the box is only to show features, you will receive the CD in a custom designed sleeve but no box. Nearly half of all consumers worldwide have been victims of cybercrime. Every link clicked, email opened, app downloaded, and network joined is an opportunity for hackers to compromise your personal data. Even established threats like ransomware are continuously evolving, and new threats like cryptojacking are being added to an already diverse threat landscape. Webroot offers complete protection from viruses and identity theft for all your devices, without slowing you down. Powerful, lightweight, integrated protection for PC, Mac and Android, cloud-based Webroot Internet Security Complete with antivirus protects personal information by blocking the latest malware, phishing, and cyber-attacks. Being fully cloud-based allows Webroot to complete scans faster than our competitors, we scan billions of apps, files, and websites continuously to determine where and what is safe online. With real-time updates, Webroot protects against known and zero day threats. Where many of Webroot’s Antivirus internet security competitors rely on downloading malware definitions straight to your device, analyzing and classifying them before being able to identify them, we store them in the cloud and are able to identify them in real time – as soon as they appear. This allows Webroot to maintain a small endpoint agent that acts as the console on your device. It installs fast, scans fast, and benefits from a more robust threat library than any of our competitors. Not all virus protection is created equal, superior threat intelligence creates a superior antivirus and anti-malware product. As activities like shopping, banking, and financial planning continue to migrate to the web, the risk of cybercrime is on the rise. The features that help keep you safe - like password management, mobile security, and identity and privacy protection - aren't included in most free protection. With more than 250,000 new malicious programs appearing each day it is important you protect yourself and know that malware may refer to many different forms of hostile, intrusive, or intentionally harmful programs including: Phishing attacks, virus, adware, rootkits, key loggers, boot kids, payloads, worms, backdoors, exploits, spyware, ransomware, screen scrapers, scareware and more. When it comes to protecting you and your family's devices, you get what you pay for. AVG Antivirus goes beyond simply detecting & removing viruses to deliver advanced preventative protection by blocking malicious links as you surf the web & scanning dwnloads before they reach your PC.